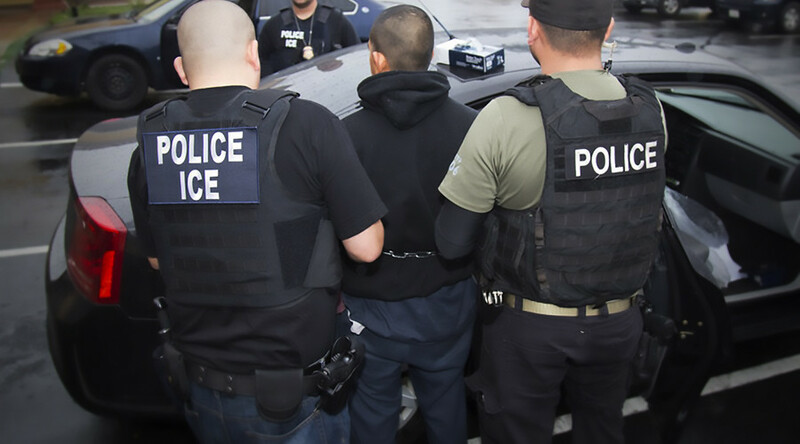 A New York Democrat has proposed a bill would require Immigration and Customs Enforcement (ICE) agents to wear body cameras while making arrests, to prevent abuse and join police departments where this measure was introduced. Under the ICE Body Camera Act, field agents would be required to wear the cameras within 18 months. The agency’s weapon budget would pay for the cameras, all field agents would be trained to use them, and video would be stored. “As Donald Trump has dramatically expanded the number of undocumented Americans who are a priority for deportation, many immigrants in Brooklyn and across the United States now fear a knock on the door in the middle of the night or checkpoints on their drive home from work,” Congresswoman Yvette Clarke (D-New York) said in a statement, according to the New York Daily News. In February, Homeland Security Secretary John Kelly called for any undocumented immigrants to be deported if they have been convicted or even charged with a criminal offense. That catchment would include people stopped for minor traffic infractions, received any government assistance or used a fake Social Security numbers to be able to work. Clarke cited figures from President Barack Obama’s Task Force on 21st Century Policing, from a Cleveland study which found cops who wore cameras, 90 percent were less likely to use force and received 59 percent few complaints than officers who did not. A year-long internal review in 2016 by the ICE concluded that agents and officers should not be required to wear bodycams, citing costs, according to Al Jazeera. There are 21,000 Border Patrol agents overseeing thousands of miles of borders with Mexico and Canada, with 24,000 officers who manage official ports of entry. Its findings concluded that operating cameras could distract agents while they are performing their jobs, could hurt employee morale and may be unsuited to the hot, dusty conditions in which Border Patrol agents often work. The ICE declined to comment on the proposed legislation. Law enforcement’s willingness to adopt the use of body cameras in policing has raised flags with civil rights and policy advocates over the lack of policies concerning surveillance limits, access to footage and the potential for profiling citizens. The NAACP and ACLU argued two years ago that the footage obtained should be widely available for public and media review, rather than remaining solely under police control. There are also concerns about facial recognition software which would allow police to identify a former convict, for instance, before there’s any reason to suspect him or her of wrongdoing. Washington DC Police Chief Cathy Lanier cautioned two years ago that the video footage would capture a broad range of information – including police communications, passwords and interiors of private residences – that would need to be redacted before releasing video. "It's going to be very costly and time-consuming," Lanier said in public remarks at a forum on the issue, according to CNN. There is also concern about the resources needed to manage the use of bodycams. The coalition is aware, too, of the potentially massive undertaking widespread use of body cameras would entail, include the hefty resources needed to manage their use. Chris Calabrese, policy director at the Center for Democracy and Technology, a group in the coalition, pointed to "millions of hours of video footage" that will need to be stored and analyzed. "The infrastructure necessary to do this right is significant," he said. "It's not just a question of buying a video camera – it's an entire system that has to be implemented and implemented correctly."